Architectural shingles are today’s most popular asphalt shingle option. Roofing contractors recommend them for their durability, aesthetics and overall great value. 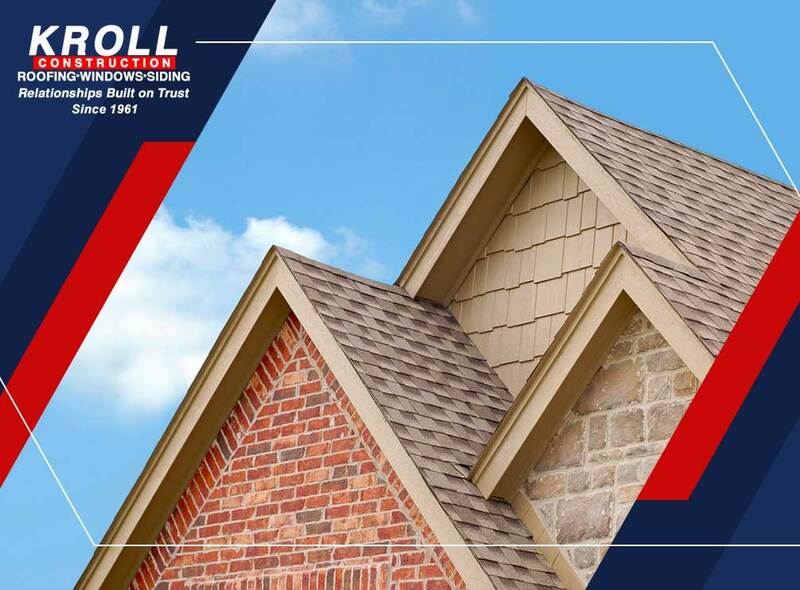 Read on as Kroll Construction takes a look at what makes architectural shingles the best option for residential houses. Architectural shingles, also known as dimensional shingles, are multi-layered asphalt shingles designed to emulate the hand-cut, textured look of natural roofing materials such as slate, cedar and clay tiles. Architectural shingles add a layered and textured look that’s considered superior to traditional three-tab shingles. They also have a wider selection of colors and features that give homeowners more flexibility in designing their exterior. Both homeowners and roofing contractors consider architectural shingles as the point where cost meets value. Considering that it can effectively mimic the look of natural but costlier roofing materials, a homeowner can achieve the look they’re after and still save money in the process. Since architectural shingles are a relatively light roofing material compared to slate or tile, the existing roof deck won’t have to be reinforced or rebuilt, resulting in further savings. Architectural shingles generally have higher wind and impact resistance ratings compared to traditional three tab shingles. These provide better protection for hurricane-force winds, as well as from hailstones and airborne debris. Architectural shingles also tend to have better warranty coverage, as well as a relatively longer expected life span. Many of today’s architectural shingles are available in “cool roof” options. A cool roof is a roof that has reflective properties, by way of light colors or special coatings, which reflects sunlight back up to the source. It works the same way as wearing a light-colored shirt under the sun. It helps make your home more comfortable, and also reduces your indoor cooling requirements during hot days. Architectural shingles with cool roof properties complement your existing attic insulation in reducing your indoor cooling requirements, and can help lower your energy consumption. To learn more about architectural shingles, or our other roofing services, call Kroll Construction today at (888) 338-6304. You can also fill out our contact form to schedule a free in-home consultation. We serve Detroit and the surrounding areas.